The cardinal cocktail is simply a Kir cocktail made with red wine rather than white. It is an easy way to dress up a less-than-desirable red wine that you cannot bear to see go to waste. You'll also enjoy that this is one of the easiest wine cocktails you can mix up because there are no special tools or techniques required! The crème de cassis adds a delicious sweetness to reds like Merlot or Pinot Noir that may be a bit too dry for your taste. It also adds a lovely black currant flavor that is a fantastic pairing for the majority of wines. 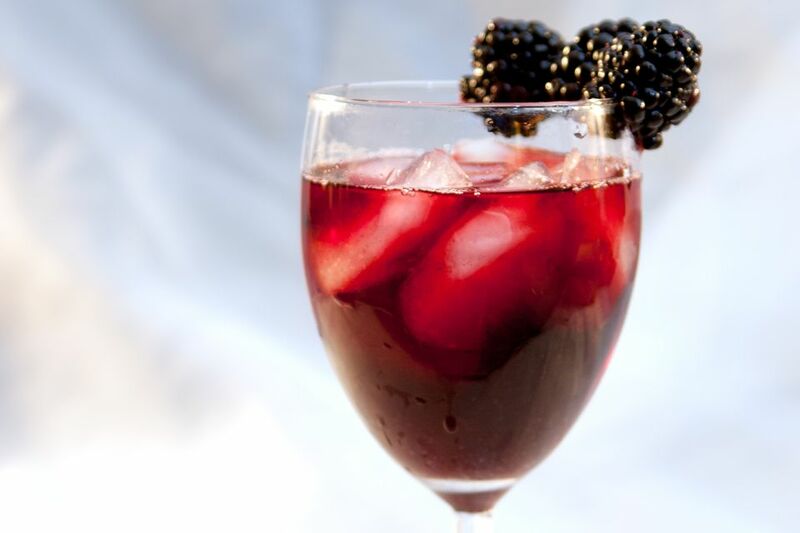 Pour the crème de cassis into a red wine glass filled with ice. The ratio of crème de cassis to wine is just a suggestion. Feel free to add more cassis if your wine is particularly dry and you really want to sweeten it up or use less for just a hint of sweetness. You may want to make adjustments for different wines. The cardinal cocktail is typically not stirred, so the cassis sweetens the drink from the bottom up, much like the grenadine in a tequila sunrise. If you prefer, give it a quick stir. To give the cardinal cocktail a little sparkle, add a splash of club soda. This is a really nice option for creating a red wine spritzer and is especially pleasant in the summer. The cardinal cocktail is also a great drink for rosé wines, particularly those that are a little drier, which is common with French Provençal rosés and those made from red wine grapes. You could also use it for a sparkling rosé, creating a drink similar to the kir royale, which is made with Champagne. If you don't have crème de cassis, try another red fruit liqueur. Pomegranate (e.g., Pama) and strawberry liqueurs would be nice substitutes. You could also try it with a black raspberry liqueur such as Chambord. For a nonalcoholic mixer, grenadine is a good choice. The pomegranate-flavored syrup is an excellent sweetener for drinks like this and will create an even lighter drink than one made with liqueurs. You can also take a hint from the bishop cocktail and add a little rum to the cardinal. Use the cassis rather than simple syrup and pour a small shot of rum, accenting it with lime if you like. How Strong Is a Cardinal Cocktail? Generally, crème de cassis is bottled at 15 percent ABV (30 proof) and the average red wine is just 12 percent ABV. Combining the two creates a perfectly casual, low-proof cocktail. When poured according to the recipe, the cardinal cocktail should be right around 11 percent ABV (22 proof).